Conducted "Sankalp Se Sidhi-New India Manthan" programme at Agricultural Market Yard, Madanapuram on 30.08.2017.Total 462 farmers, Officials were attended. 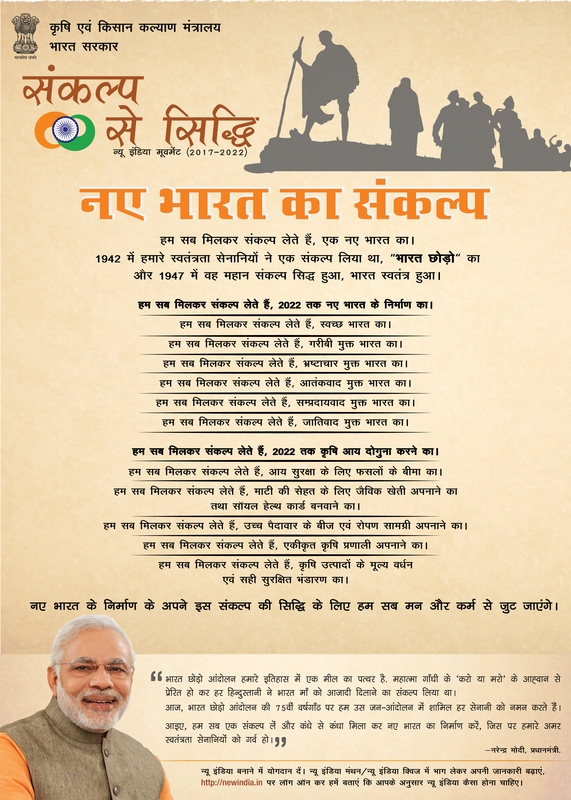 We should start the program with Hon'ble PM Sri Narendra Modi Video Message and then conducted plegde. Mr. K. Suresh kumar SMS (Horti.) elaborate the programme detail to dignitaries and farmers. Mr. V. Rajendra kumar SMS (PP) elaborate all KVK activities and extension technologies for farmers. Sri. Jupally Krishna Rao, Hon’ble Minister for Panchayathiraj & Rural Development, Telanagana advised farmers should follow new technologies and change the crop pattern. Sri. A.P. Jithender Reddy Hon’ble Member of Parliament of Mahaboobnagar spokes on 4 points of Sankalp Se Siddhi i.e New croping system, Irrigation water management, Animal Husbandry, Marketing. Sri. Singireddy Niranjan Reddy Vice Chairman,TSPC & Sri. Ala Venkateshwar Reddy, MLA, Devarkadra and other officials spokes about the program and then Gandhi film screened to farmers.